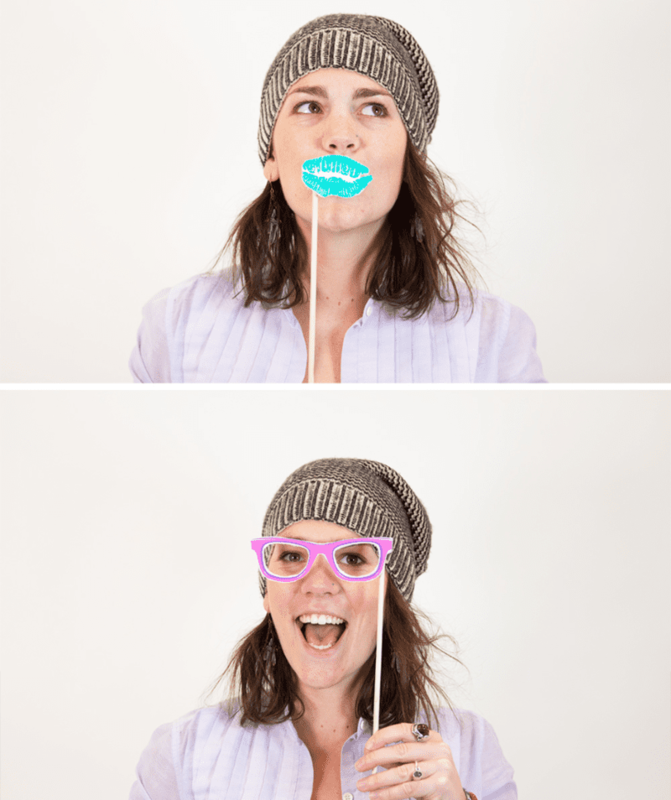 When it comes to wedding trends, the wildly popular photobooth always comes to mind. 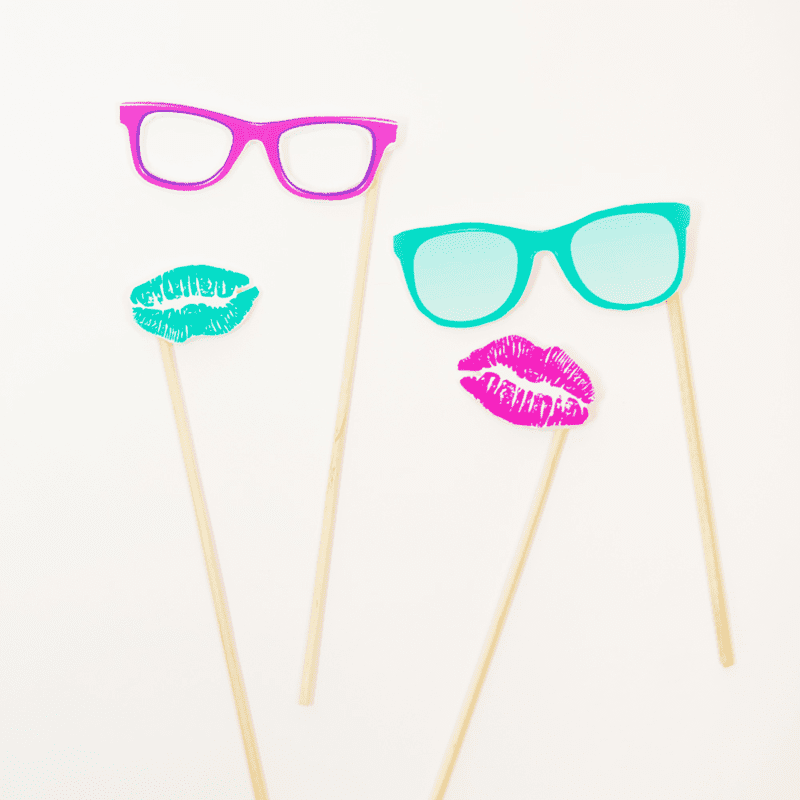 Both entertaining and a great way to remember the big day, you can spice up your photobooth with quirky props, larger than life accessories, and customizable signs. 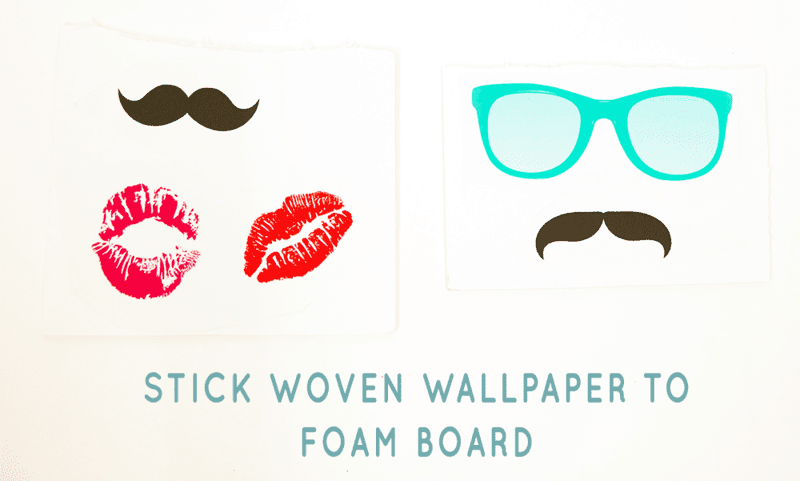 Today, join Spoonflower team member Meredith as she preps you for your close up with DIY photobooth props using Spoonflower's free design tool, PicMonkey and Woven Peel and Stick wallpaper. 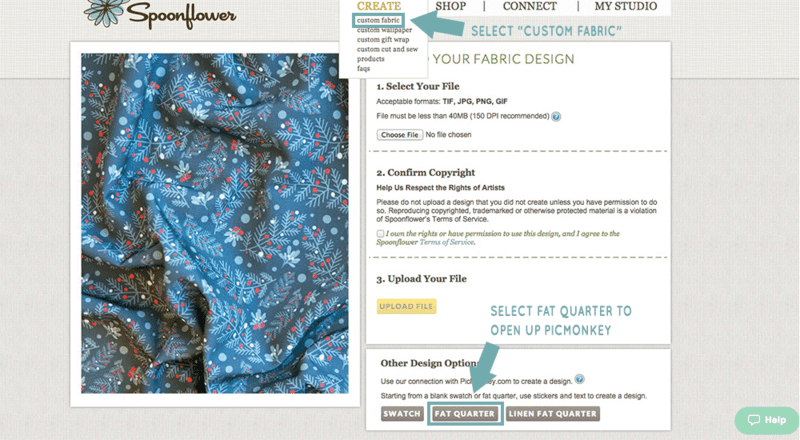 PicMonkey is integrated with the Spoonflower website, so to get started, just log into your Spoonflower account. Go to "CREATE" and select "custom fabric" in the drop-down menu. Don't worry about the fact that we're not actually creating fabric, that won't matter in the end. 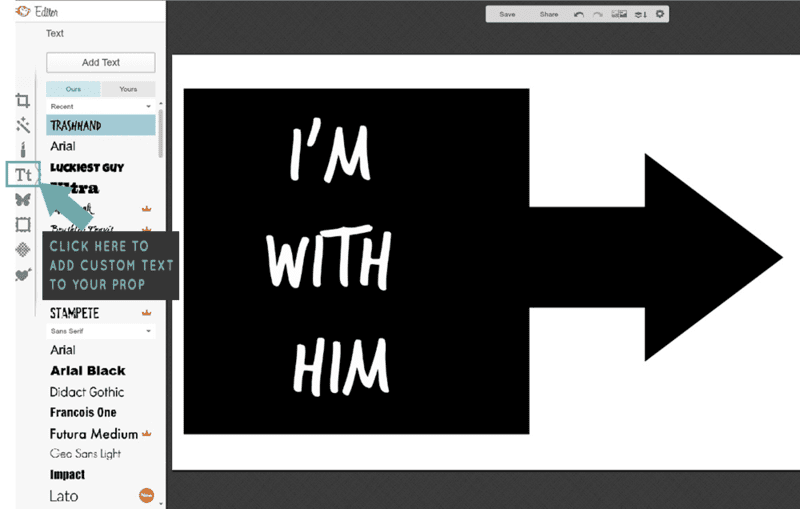 You can choose any canvas size since we'll be adjusting the size once in PicMonkey. 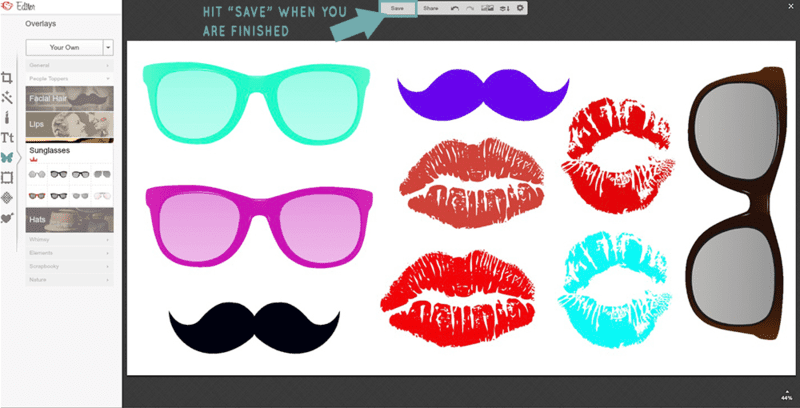 Once in PicMonkey, resize your canvas so it is the size of a wallpaper swatch – 24" x 12". 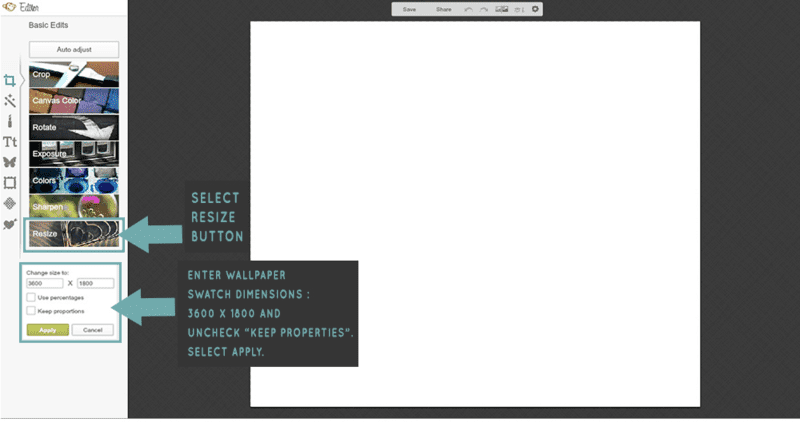 Select the "resize" button uncheck the "keep proportions" option. Enter 3600 x 1800 in the pixel boxes and select "Apply". 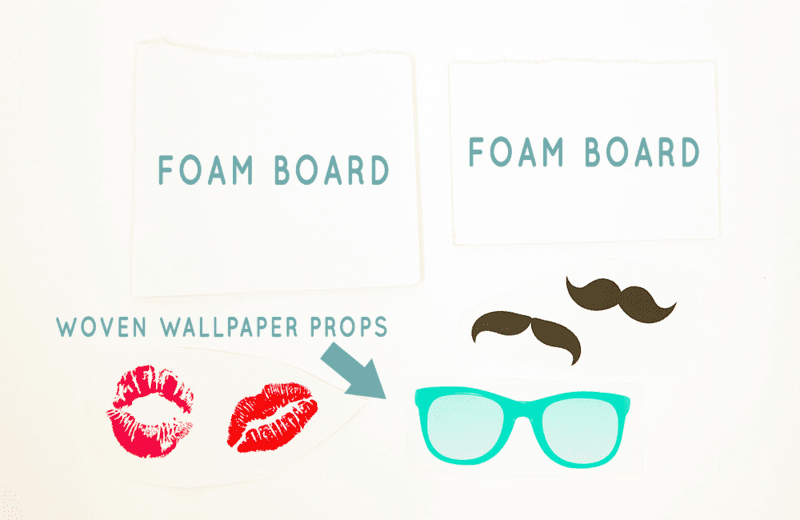 To choose your prop elements like sunglasses, hats, and mustaches, select the Overlay option (the butterfly icon) and choose the People Toppers category. Click on the icon you want to use to add it to your canvas. 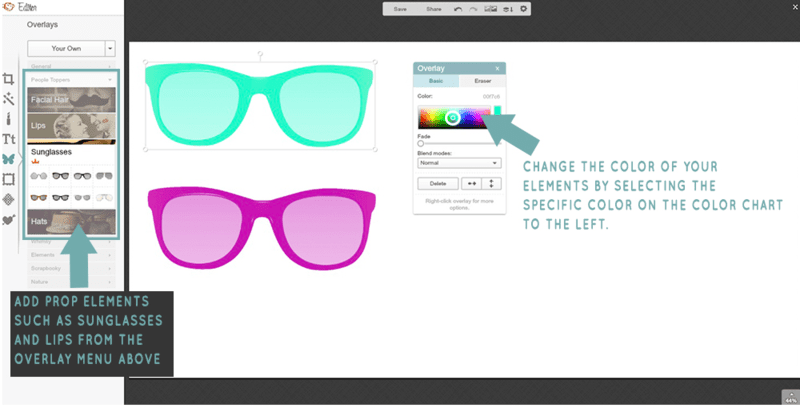 To adjust the color of your icon, select it with your mouse and choose your color on the overlay color box. 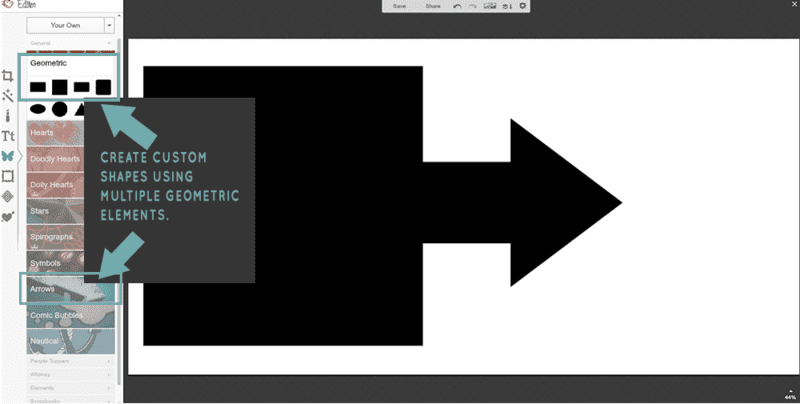 To create a custom sign that includes your wedding # or event date, use the geometric overlay option. I created an arrow sign by adding a box and arrow element and placing one on top of the other, but the possibilities are endless! To add text, select the text option (labeled "Tt") and type in your specific text. Once you've added all of your prop elements and re-sized as necessary, select the "SAVE" option. It's helpful to note that once you save a design in PicMonkey, you are no longer able to go back and adjust the individual elements. 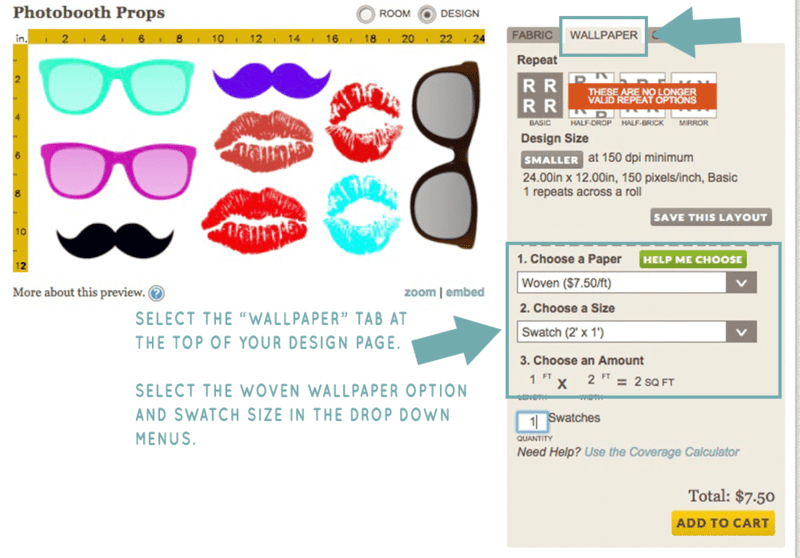 To order a woven wallpaper swatch of your elements, select the Wallpaper tab and choose Woven Wallpaper and Swatch in the drop-down menus on your design page. 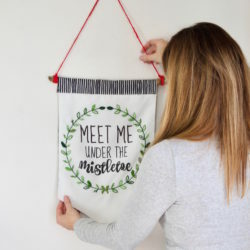 Once you receive your wallpaper swatch, cut out each prop element, peel off the paper backing and adhere to your foam board. 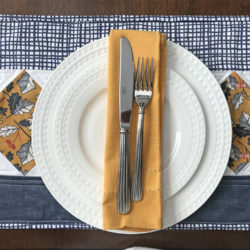 Using a craft knife (an Xacto knife works great), carefully cut out each element. Next, add hot glue to the back right or left side of your prop and adhere your dowel rod. The dowel rod will be the handle of your prop. 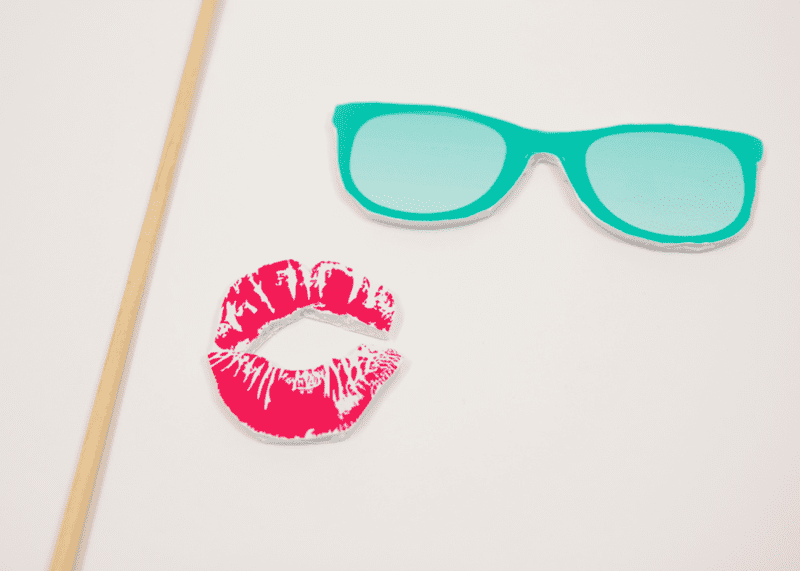 Now that you've got your completed DIY photobooth props, you're ready for your close up! 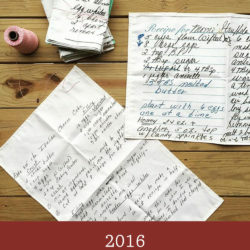 We’re so glad to hear Spoonflower has become a helpful resource for getting your business started! Good luck with your new venture! 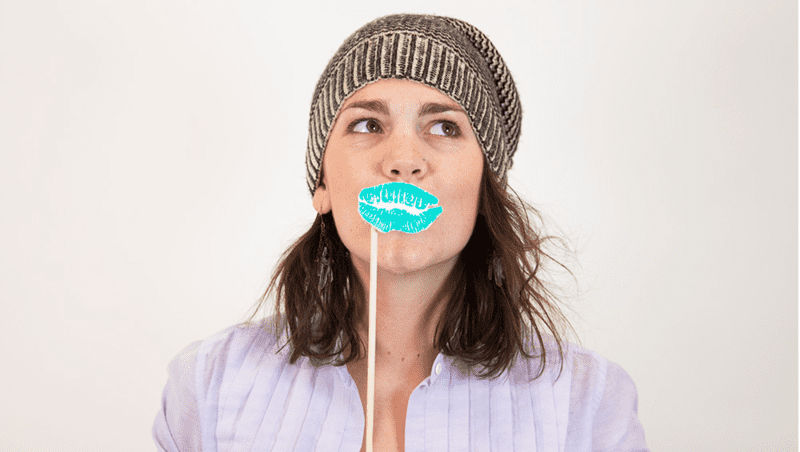 « Announcing the winners of our #SFSewInLove contest!